Own one of our contemporary residences and enjoy all of our resort amenities along with a hassle-free experience managed by one of the world’s leading hoteliers. Our collection of luxury two- to five- bedroom residences are available for whole ownership, with all of the convenience, comfort and style of a private vacation home combined with the amenities offered by award-winning Auberge Resorts. 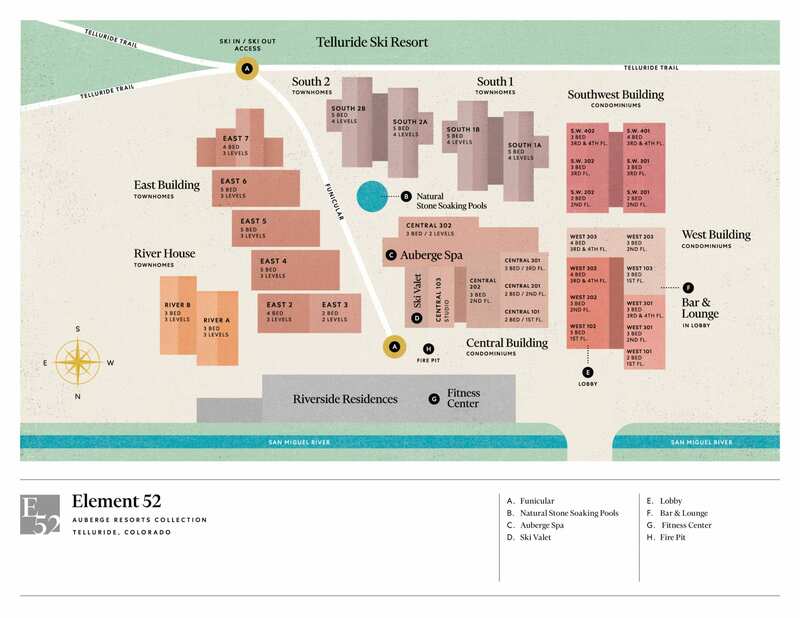 Situated in historic Telluride, Element 52 is your basecamp for adventure, with ski-in, ski-out access and year-round Colorado backcountry pursuits from hiking through thick aspen groves and fly fishing for prized trout.